Beginning as a small and very specialised artisanal leather-processing shop back in 1930, Marine Leather has grown into one the most trusted Italian tannery companies. Now a global business, the respected manufacturer creates bespoke leather for interior and exterior furniture for yachting, aviation, high-end residential and luxury hospitality projects across the globe. A family-run business, Marine Leather is now in its third generation with the same name at the helm, having been established by Eduardo De Cesare almost 90 years ago. 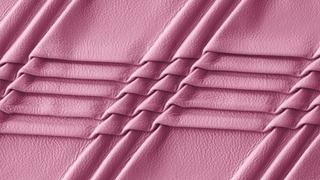 De Cesare’s first workshop created a unique leather that had a softness and malleability far beyond those that were available on the market at the time. Following in his father’s footsteps, his son, Vincenzo, took the product and the specialist craftsmanship behind it and transformed the company for the modern day, ensuring that everything Marine Leather made would still adhere to the artisanal practices of the past. It is this passion and unparalleled knowledge of the secrets of expert leather-processing techniques that has ensured the continued success of the business. The company remains true to its leather-making heritage, with the focus still firmly placed on innovative craftsmanship. One of the many reasons Marine Leather has such a successful reputation in the industry is its drive towards constant and continuous experimentation. These days, the company is able to create innovative collections that offer a wide range of colours, as well as a number of different textures and nuances. Among the many techniques used by the company are screen printing, designs woven in leather or with other natural materials (including copper, cotton and polyester) and custom tubular weaving of joint-less leather that is used for handles, handrails or leather flooring. In addition to this, Marine Leather is able to offer non-standardised products through cutting-edge technology that can create personalisation and custom finishes. One example of this is the Pandora technique, which involves intricately embroidered leather with diverse stitching designs and colour palettes that create a three-dimensional effect. Another is ARTé, which is aimed at more traditional styles through intimate hand-weaving techniques, including the art of hand-threading and traditional sewing stitches. Today, the company works with prominent interior designers, architects and on a number of prestigious design projects. These include creating pieces for some of the world’s most exciting spaces, from furniture in London’s Nobu restaurant to embroidered leather walls in some of the world’s most impressive yachts. 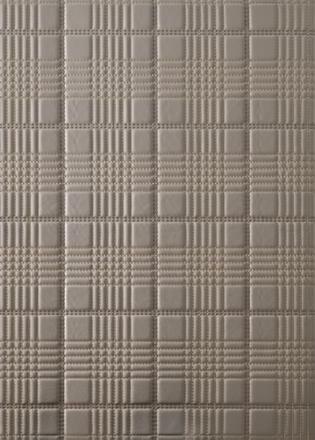 Marine Leather also offers LaserMania, which comprises lasered leather with patterns that range from fantasy to geometric. Through this, the options are virtually limitless, with the ability to mark and cut with the most advanced laser techniques. This collection is particularly popular with interior designers, who want to be able to bring to life a specific creative vision or replicate a trend in print or pattern design. A final custom furnishing option is Labirinto, which involves pleated panels that are formed from folded hides and result in multi-shaped designs. As well as the adoption of technologically advanced practices, Marine Leather prides itself on its approach to environmental issues. The business has a progressive waste-management plan, which pledges that all leftover products are either reused to make new items or are turned into fertiliser or regenerated leather. Marine Leather’s commitment to its principles of quality craftsmanship, its technical capabilities, and its unwavering ability to change with the times has allowed it to become one of the world’s most sought-after leather manufacturers.